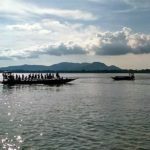 Actually, the title of this post about the August 2018 Calendar is wrong. I mean I was not even clicking the horse in this picture. My total focus was on these snowclad peaks that you can see from all around Chandratal in Spiti. So here is the story of this picture. 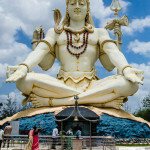 I was very tired and had clicked Chandratal all afternoon when the intermittent rains will let. Yes I know you must be saying Rain in Spiti, is it not suppose to be a cold desert. 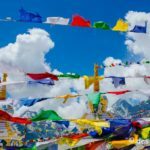 Well, you are right dear reader, but as luck will have it we reached Chandratal Spiti on the very day when it rained there for the first time in a year. Not only it rained during the day, in the night we experienced Bombay style rains that the locals swear had never happened in that area. But that is another story. 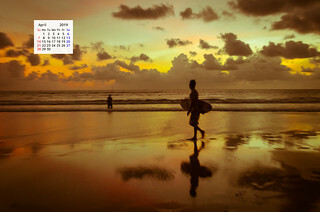 Let us focus on our August 2018 Calendar Wallpaper story. So like I said I was at Chandratal and minding my business of clicking the peaks around, sometimes at a furiously at other times at just waiting for the clouds moving at a glacial pace to leave my chosen peak alone, but the clouds had no intention of obliging me. Then as if by a stroke of luck when all other photographers have gone and I was the only one lying on the wet grass, all the elements came together. The lazy cloud moved away from my chosen peak, the sun sneaked in from a gap in two parting clouds, half the scene was in the shadow of the clouds but the other half was basking in the golden light. For that moment in time and space, everything was perfect, and I got back into the machine gun mode of the camera ( I think technically it is called Burst Mode ) and I was shooting at 7 frames per second. As I was shooting at a fast pace and totally lost in the moment, suddenly I realized that there is a large cloud in front of my camera, but the cloud moved fast and I continued to shoot, then another cloud came and then another. By now the camera buffer has given away and was saving the images, so for a moment I took the camera away from my eye only to realise a herd of horses was passing in front of me, and what appeared as the clouds in the camera to me were actually passing horses that had passed just a few feet away from me, and for some act of benevolence had decided not to trample me under their feet. Well, ladies and gentleman that was my lucky day and due to some strange stroke of luck not only I did not get trampled by Spitian horses, but I also got this shot, from just a few feet away from a horse that came last in the herd. While I am no expert, but when I look at the horse closely I have a feeling that the horse is actually a pregnant mare, hence the reason she was the slowest in the herd. 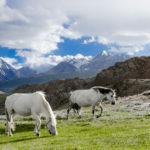 As I had no time to compose or focus for this image, if you zoom up you will realize that the horse/mare is not in focus but I just can’t overcome the fact that I not only got the shot, I lived to tell this tale from Chandratal. 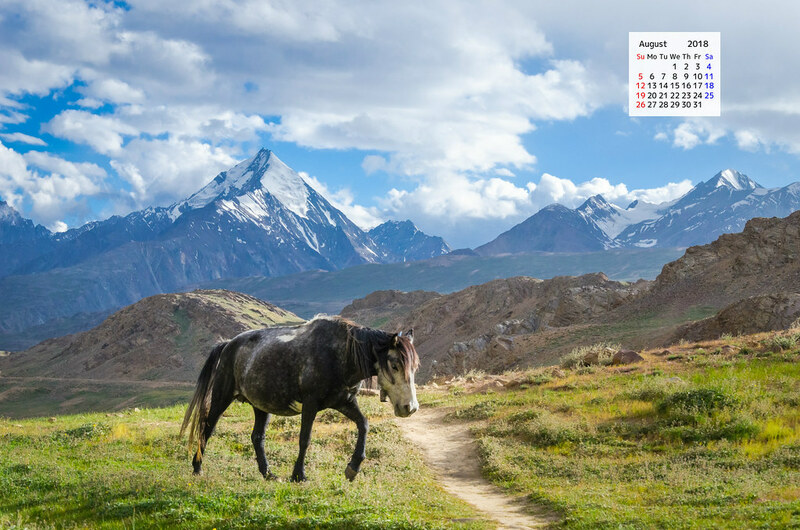 Well with this I leave you with your free copy of August 2018 Calendar Wallpaper, featuring my lucky shot from Chandratal in Spiti. Here are some more stories related to Horses and related equine animals. Photo-bombed by a team of semi-wild horses? That must have been an interesting day. Good you didn’t get caught in a horse-stampede. A very lucky day, huh! Loved the pic, Brilliant photography.